Business owners and their marketing agencies have been trying to shortcut the phone call for years by encouraging consumers to visit a website, connect via social media, and more. However, a new report from Invoca draws attention to just how important your phone number really is in the success of your advertisements. According to the report, 75% of consumers say a phone call is the quickest way to get a response. Furthermore, 47% of mobile searchers say if a business does not have a phone number on their search results, they are more likely to explore other brands. How’s that for evidence your phone number should be front and center in any ad you run? But let’s take it a step further… The report also claims 70% of mobile searchers have used click to call to connect with a business from the search engine results page. Which begs the question: What are you doing when consumers do indeed call to find out about your services? According to a 2015 Marchex report, 20% of callers are hanging up. Uh oh, that’s not good. That means 1 out of 5 prospects are simply abandoning their phone call and choosing to spend their money elsewhere (or just not spend it at all). 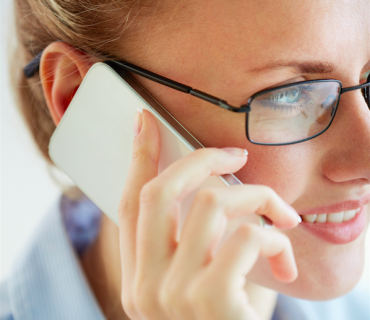 And here’s the #1 reason callers hangup: their phone call goes unanswered. Ouch. In other words, voicemail, endless lists of menu options, IVR, etc., aren’t saving business owners money– they are costing them thousands of dollars each month in lost revenues! The good news is that the problem can be fixed by instituting an answering service or call center to help with these calls. As Marchex states, “The call center becomes the critical connection between consumers and advertisers in the mobile marketing world.” We couldn’t agree more. So the next time you are running an ad or special promotion, make sure your phone number is visible for all to see. Otherwise, you risk wasting valuable marketing dollars. Then focus your efforts on what’s happening when the phone rings. A live voice will drastically reduce the amount of people that are hanging up on you. No business can afford to lose 20% of their opportunities– so make the properly executed phone call a pillar of your growth strategy and your business will immediately reap the rewards.